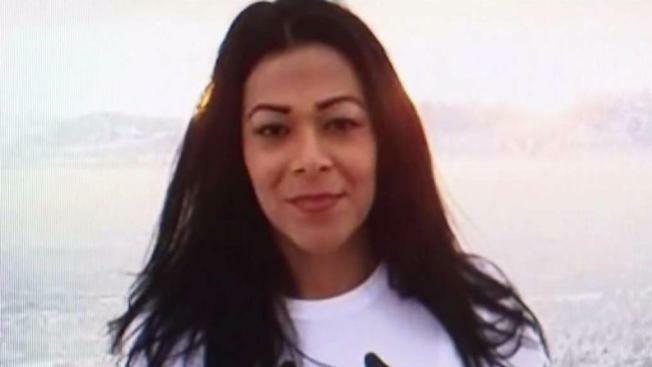 A Los Angeles man accused of fatally stabbing a 33-year-old transgender woman he met online and then setting her Pico-Union apartment on fire was charged Tuesday with murder, attempted robbery and arson charges that could result in the death penalty if he's convicted. Kevyn Ramirez, 29, of Los Angeles, is charged in the death of Victoria Ramos Gutierrez, who was killed early Wednesday morning inside a two-story, multi-unit home at 1711 S. New Hampshire Ave., between Venice and Washington boulevards. He was arrested about 8 p.m. the following day. The criminal complaint includes a special circumstance allegation of murder during the commission of an attempted first-degree robbery and an allegation of personal use of a deadly and dangerous weapon, a knife, according to the Los Angeles County District Attorney's Office. Prosecutors say a decision is pending on whether to pursue capital punishment or life in prison without the possibility of parole for Ramirez, who's being held without bail. The two counts of arson filed against him include sentence-enhancing allegations of multiple structures and use of an accelerant. He pleaded not guilty and is next due in court on Feb. 22. Authorities have not said when Ramirez met Gutierrez, who went by Viccky. Her friends set up a GoFundMe page seeking $10,000 to send her body back to her native Honduras. More than $12,000 was raised. The fire was reported around 3:15 a.m. Wednesday. Firefighters encountered heavy flames on the second floor of the structure in a unit where the victim was found and pronounced dead. No other injuries were reported. It took five dozen firefighters 48 minutes to extinguish the flames. The case remains under investigation, and anyone with information was urged to contact detectives at (213) 382-9470. After-hours or on weekends, calls should be directed to (877) LAPD-247. Anonymous tips can be submitted through Crime Stoppers by calling (800) 222-TIPS.